I love a good devotional. And, I love a good discussion about spirituality. So, I was happy to have the opportunity to review the latest compilation of devotions by Henri. J.M. Nouwen. 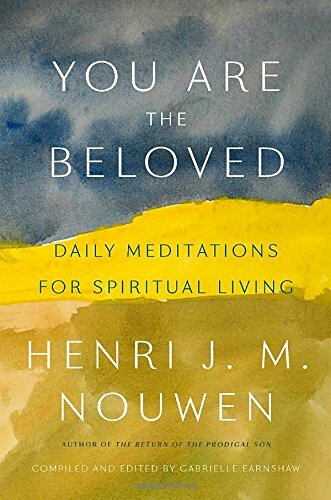 I was unfamiliar with Nouwen’s legacy as a Catholic priest or his writing, but the overarching theme of this devotional caught my attention. 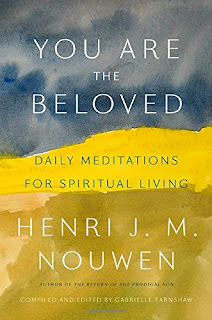 The title, You are the Beloved, is reflective of Nouwen’s famous quote, “We are the Beloved. We are intimately loved long before our parents, teachers, spouses, children, and friends loved or wounded us. That’s the truth of our lives.” Drawing the belief that God loves us enough and calls us his own, this devotional is packed full of spiritual insights. The devotional is different than other devotionals I have read in the past. It is a daily devotional; however, it does not seem to follow thematic units. For instance, one day’s devotional can be a completely different topic from the next day’s. Furthermore, while every devotion discusses God and/or Jesus, there is very little scripture. This is something I am not used to as more of the devotionals I have read are based on a set of verses. However, this is actually titled “Daily Meditations for Spiritual Living,” so this is most likely done with the purpose of being a spiritual guide rather than a standard devotional. The meditations each come from Nouwen’s different works with a note on each page of where the material first appeared. Since I am unfamiliar with his works, this was helpful. Each meditation is short and can be read in two minutes or less. Some are deeper than others, but that seems to be true for most devotionals.